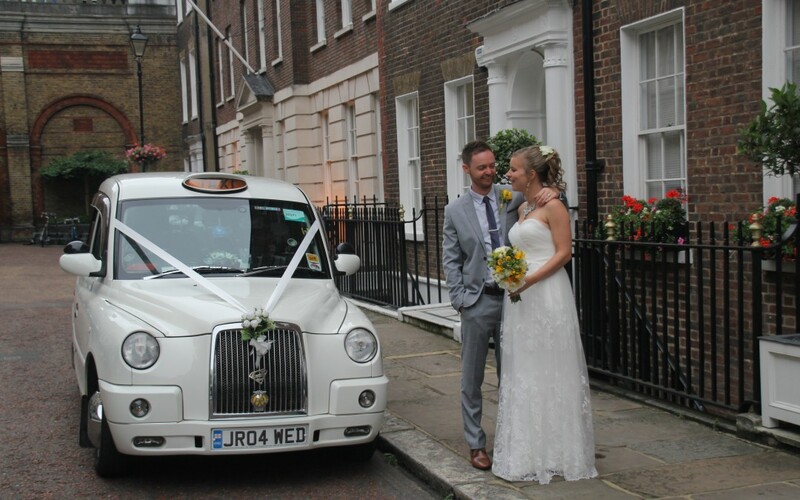 Dale booked our White Tx4 Lily quite late, in fact we finalised the booking on the Monday before the wedding took place. I was to collect Maddie front he Citidines Apartments on High Holborn which is in quite a difficult location to park or even stop. So I parked around the corner and tried calling Maddie on the contact number that Dale had supplied from which I got no reply. Now I always tend to panic in these situations so I drove around to the main entrance and went into reception, who also had no record of Maddie staying there! But they offered for me to park in their car park at the rear of the building. Just as I parked the Taxi the receptionists came down and told me that the bride was waiting in reception. Maddie said that her phone was on silent and she hadn’t been checking it until she picked it up to leave. Please always make sure that the contact number that you have provided for the day is switched on and not on silent, especially when parking outside of the pick up address is a problem. 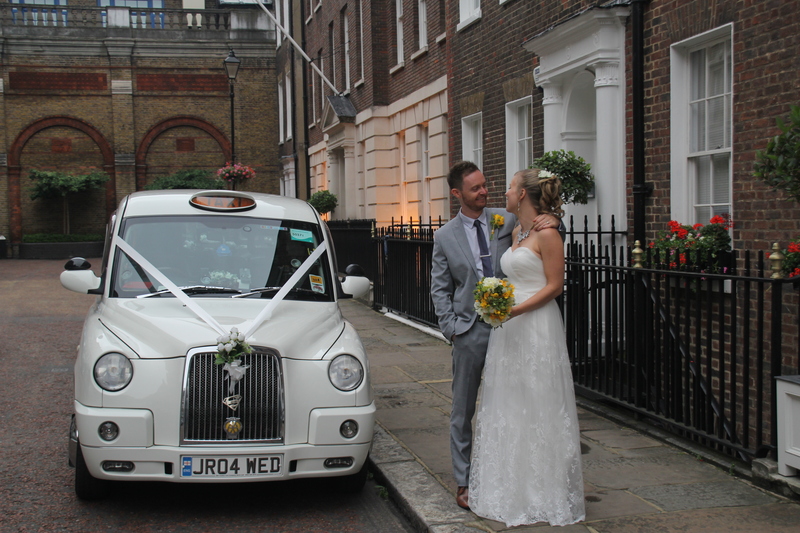 The ceremony was to take place at Camden Town Hall on Judd Street and we arrived there spot on time to be greeted by the official photographer. 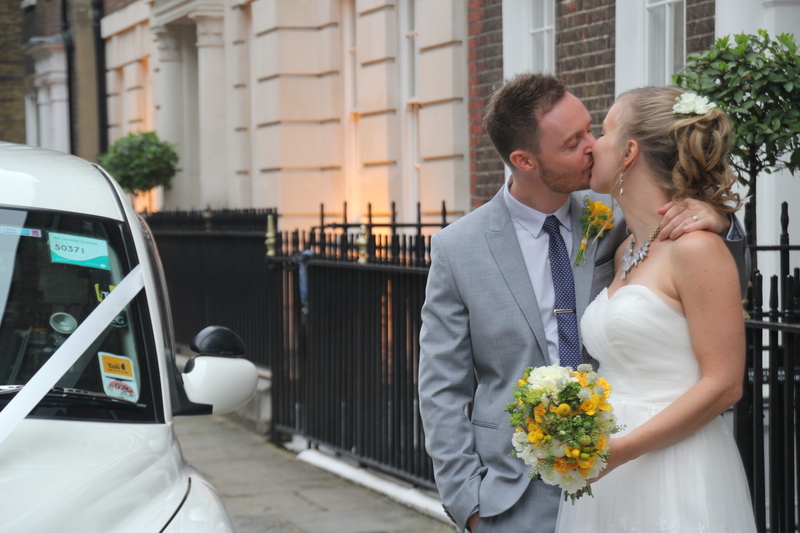 After the ceremony the Dale and Maddie wanted to have some pictures taken in Clerkenwell Close which is a place very special to them, many couples ask us to stop on route to the reception at locations that are special to them and we are always happy to accommodate their requests. The reception was to be held in the Crypt and Ely Place, Ely place being the street ion which St Etheldrelda’s Church is located which is believed to eb the oldest Romand Catholic Church in England. Dale and Maddie make a lovely couple and we would like to wish them all the best for the future.